Note:You are purchasing a standalone product; MasteringA&P does not come packaged with this content. 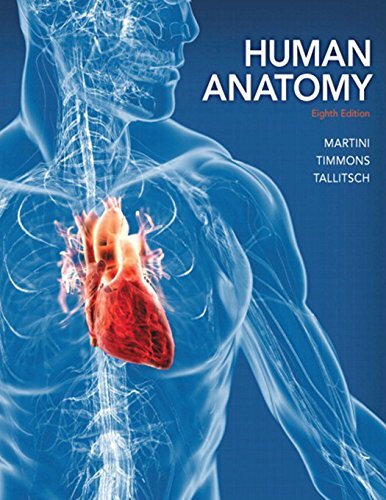 Praised for its atlas-style format, appropriately detailed anatomical illustrations, and exceptionally clear photographs of tissues and cadavers, Human Anatomy is now more visual and interactive. The Eighth Edition includes new one- and two-page Spotlight Figures that seamlessly integrate text and visuals to guide students through complex topics. New QR codes let you use a smart phones to link directly from figures in the book to figures in the Practice Anatomy Lab™ (PAL™) virtual anatomy program, giving you additional views for learning bones and muscles. The end-of-chapter Study Outlines now have memory-triggering visuals to help you remember chapter content.